Our family recently discovered a hidden gem while on vacation in Spain. When we were planning our trip, our oldest daughter discovered a little known city called Merida, between Fatima, Portugal, and Seville. Though it is one of the oldest cities in Spain, it has been only in recent years that Merida has become a destination for tourists. 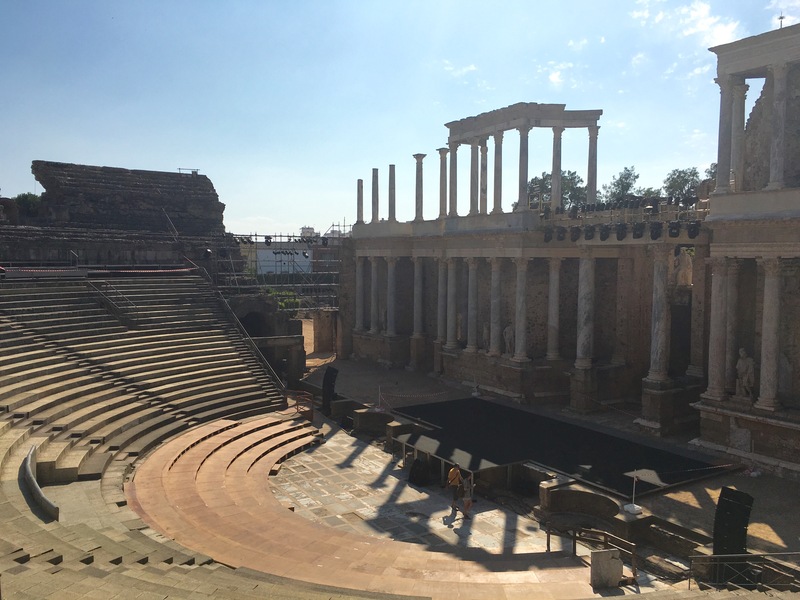 A small, quiet town in southwest Spain, it is the site of several Roman ruins including a coliseum and amphitheater. Like much of Spain, the city comes alive at night when locals and visitors as young as three years of age can be seen playing in the streets and watching futbol in the outdoor bars into the wee hours of the night. We visited the city over a weekend in June, yet the streets were still almost empty, and the tourist sites had plenty of room in which to move. Unlike other European cities such as Paris or Rome, Merida felt quaint and new in spite of the age of the city. Untouched by most tourists, its beauty can be fully appreciated even during the times of day when one would expect large crowds. It’s easy to take the time necessary to fully enjoy the experience and the ambiance of the city. Aside from the wonderful aspects of the city of Merida, I discovered something else while on vacation this year that surprised me. Though our family has vacationed together every year since our oldest was born over twenty years ago, this was the first year that I didn’t feel like I was traveling with three children. Technically, two of our girls are still youths, ages fifteen and seventeen, but this summer, it really felt like we were traveling with adults. Shopping excursions shifted from visiting local toy stores to dress shopping as the girls all tried to imitate the fashion tastes of Europe. Desired souvenirs were no longer key chains and snow globes but artwork and pottery. Yes, there were some disagreements, petty squabbles, and normal insecurities that sisters are so adept at bringing out in each other, but there were more moments of real conversation (without cell phones! ), mature sight-seeing (no children’s museums), and late nights sitting in Spanish bars talking about college and future plans. 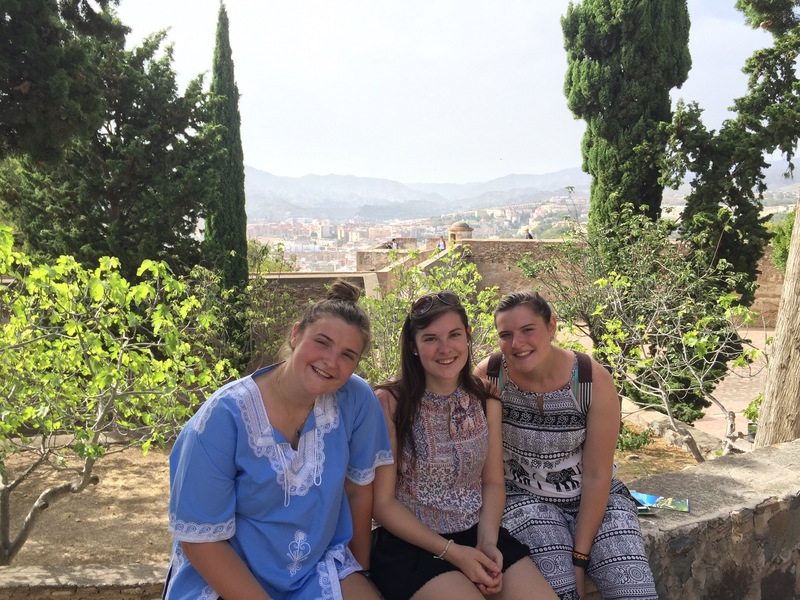 Though I often lament about how much it pains me to see my girls grow older, I have to admit that spending time with my young adult daughters was a truly uplifting and pleasant experience. I’m not ready to marry any of them off, but I can see the future, and it is a treasure to behold. When I was growing up, I was closer to my grandparents than anybody else in the world. I spent a lot of my summers at their home and learned many lessons about life and love. I have tried to remember all that they taught me, and I hope I have imparted some of their knowledge and beliefs to my own children. The things I learned from them are timeless, and with the world they way it is today, I think everyone could benefit from their wisdom. Here are the top things they taught me, ranked lowest to highest. Money doesn’t grow on trees, but it’s not meant to hold onto forever. Granddad didn’t believe in banks. Perhaps it was because he was born in 1916 and certainly witnessed the fear and despair brought on by the Great Depression. He always felt that his money was best kept in the wall safe in his house. But that didn’t mean that it stayed there like a stockpile that shouldn’t be touched. If Gram wanted a new pair of shoes (and that was quite often, really, QUITE often), Granddad never hesitated to take her shopping. I remember one time when the three of us were shopping together. Granddad asked, “What are those things on your feet?” I looked down and smiled. “My favorite shoes,” I replied, very proud of the stained, well-worn canvas shoes. “No granddaughter of mine should have shoes that look like that. You’re getting a brand new pair.” I don’t know why that story has always stuck out in my mind, but I do know that we went straight to the shoe department at Peebles, and I walked out with a new pair of shoes. I’m pretty sure Gram left with three new pairs, and Granddad left with a lighter wallet and a smile on his face. The early bird gets the worm. When I stayed at my grandparents’ house, one of my favorite things to do was to go crabbing with Granddad. The first book I ever wrote was about a day spent crabbing and was a tribute to the man I loved. He rose every morning before the sun came up and went to work. In the summer, that was on the water. In the spring and fall, it was in his fields. He worked early, when the day was cool, and rested in the afternoon when it was too hot to be outside. He knew the value of starting every day before dawn. Grandma was no different. I remember on the days I didn’t get up and go crabbing, Grandma would sneak into my bedroom early every morning to collect the clothes I had worn the day before. They were often washed and on the line before I was even out of bed. Then the chore was done for the day. We called grandma “The Laundry Lady” because of her insistence that all clothes should be washed, dried, and put away first thing every morning. It’s one thing I have yet to master, but I have always tried. And as a writer, you will always find me doing my best work early in the morning. I think it’s because Gram is whispering in my ear that “time’s a wasting” and I’d better get moving and get something done. Family dinners are essential. Whether it was just for the five of us and my grandparents or the entire Morgan clan, my grandmother loved serving up a good, old-fashioned family dinner. Every Sunday, that was fried chicken, mashed potatoes, and a bounty of vegetables, bread, and desserts. There was always enough food for one more person at the table, or two or three. The door was always open, and everyone who dined with us was family. I was raised on the belief that families always eat together, and in a world in which most families rarely see each other for a single meal during the week, that’s such an important lesson to remember. I thank my grandmother for recognizing this and my own mother for instilling it in all of us. Though it can be hard at times, eating dinner together as a family is my favorite part of the day, and, like Gram, there’s always room for one more at the table, or two or three. It’s important to make everyone feel special. Every man was Granddad’s buddy, and every woman was his sweetheart. It didn’t matter if he had known them his entire life, or if they were serving him coffee at a restaurant where he had never eaten. He learned their names, asked about their families, gave out hugs like candy, and always had a smile for everyone he came across. I don’t believe anyone ever left their presence without feeling like the most special person on earth. My grandparents lived by the words in Matthew 25:30, “Truly, I say to you, as you did it to one of the least of these my brethren, you did it to me.” I believe that Grandma and Granddad saw Jesus in each person they met, and they made sure that everyone felt it. Friends are friends, whatever their race, religion, or creed. My grandparents were raised during a time when everything was determined by the color of your skin, where you went to church, and who your relatives were. There were lines that were not crossed. But I remember a young, black man who used to live and work near my grandparents. He could often be found helping out around my great-aunt’s store. Others may have looked the other way when they saw him coming, but not Granddad. They were friends, and that counted for something. Growing up in a neighborhood and attending a school in a white suburban area, I was profoundly affected by my grandfather’s friendship with this man. They remained friends until the day Granddad died, and I’m sure they’re both together now, drinking Coca-Cola and eating Hershey bars in Heaven. Family matters. There was nothing that my grandparents wouldn’t do for their family. If I wanted to spend time with them, all I had to do was call, and they were in the car and on the way. That doesn’t sound like a lot, but they lived an hour away, and they had very busy lives even in “retirement” (truth be told, I don’t think they knew what that word meant). But they were always there no matter what. My grandmother was definitely the mother hen in the family. She looked after her sisters and sisters-in-law like they were her children. Her own mother suffered a stroke early in life, and not a day went by that Gram wasn’t at her mother’s house helping to feed, bathe, and care for her. And no amount of complaining would allow us to stay home when she went over there. Family is family, and we were to all remember that and pitch in where needed. God should be the forefront of everything. I’ve heard that when my mother was a child, my grandfather rarely went to church. My grandmother would load up their four children and take them to church every week without fail, but Granddad usually stayed home. When I was a child, however, I never remember there being a time that Granddad didn’t go with us to Mass. I recall that he was always a few steps ahead of everyone else, finishing his prayers several beats before the rest of the congregation. I never understood why, and it always perplexed me. But for no reason that I can explain, I find myself doing the same thing. It always makes me feel like he is there praying the words right along with me. Granddad might have been slow to being a regular church-goer, but he was always faithful to God. The St Clement’s Island cross, marking the site of the first Mass in the New World, was built and erected by his own hands. He also made the Stations of the Cross that line the cemetery where he and Gram are now laid to rest. It wasn’t unusual to find a nun or a priest at the dinner table, nor was it unusual for either of my grandparents to say “Get in the car, we’re taking [fill in the blank] to the church.” Sometimes it was laundry or dinner, other times it was an apple pie or a pail of fresh-picked cherries. Grandma prayed every morning, and I still marvel at her ability to put everything else aside, every single day, in order to spend time with the Lord. They lived out Joshua 24:15 throughout their lives, “as for me and my house, we will serve the Lord.” And what better lesson could they have instilled in any of us? Here is the thing that really stood out to me when I was thinking about all of this. My grandparents taught us all of these lessons and never said a word out loud about any of them. Everything we learned came from observation. They lived out each and every day according to the teachings of St. Paul, “Be imitators of me, as I am of Christ” (1 Corinthians 11:1). I only pray that I always remember what they taught me and that I am worthy of their legacy. On St. Clements Island in front of the cross that Granddad built. I was blindsided last night by the outpouring of love and support that I received from so many people. I held a launch party for my newest release, Whispering Vines, available today in print and ebook. The large reception room at Scossa’s Restaurant and Lounge was standing room only with friends, family, fellow writers, and even strangers who all came to purchase my new book. By the end of the event, I was completely sold out of that book and had sold numerous copies of my earlier books. It was an evening I will never forget. I often hear it said that the life of a writer is lonely and depressing. Many writers spend their days in isolation, writing at home, locked away from the world. Many of the world’s greatest authors lived painful lives of solitude, often turning to drugs or alcohol, with many committing suicide. I’ve never been able to reconcile that type of existence with my own life. I’ve been asked many times how I find time to write, and I’ve had several people tell me that I have to slow down, stop volunteering, and curb my social life and family trips. It seems that now that I am an author, I am expected to close myself off from the world and spend twenty-four hours a day with my fingertips glued to the keys of my laptop. Last night was a reaffirmation that becoming a hermit is the last thing I should do. I thrive on relationships. The more time I can spend with my family, the better. The times I’m able to sneak away with friends are blessings. Everyday interactions with other school parents and volunteers are essential to my well-being. Leading a week-long volunteer camp is crucial for my happiness and feeling of self-worth. And it’s from these many people and moments that I find my inspiration. Most of my characters are based on people I know. All of the settings are based on places I have visited. And the storylines are always inspired by experiences I’ve had or stories I’ve heard from others. Where would I be, where would my writing be, if I didn’t have such a strong connection to other people? So I would like to thank everyone who has supported my writing, all of those who have bought my books, those who were at the party last night, and every person who has touched my life in some way. You are all my inspiration, my muses. They are your faces that I see when I am describing characters, your homes and your families. They are our conversations that I recreate, and it is your friendship and love that resonates in the stories that I tell. The success of my writing can be contributed to every one of you, and I wouldn’t change that for the world. 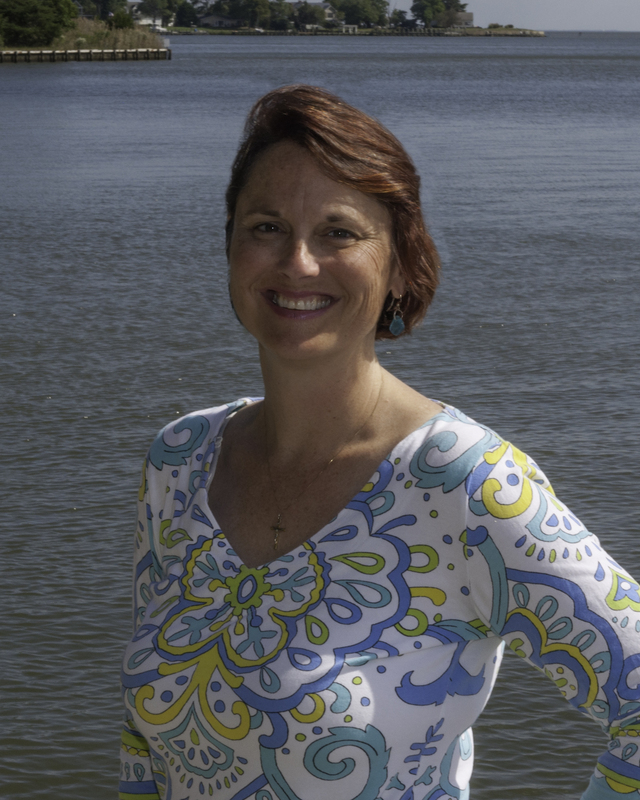 Amy Schisler is an award winning author of both children’s books and novels for readers of all ages. She lives with her husband and three daughters on the Eastern Shore of Maryland. Her latest book, Picture Me, is the recipient of an Illumination Award, placing it among the top three eBooks of 2015. Her latest book, Whispering Vines, is now available for purchase. The Tonys are this weekend, and I am so excited! I love theater, particularly musical theater. There are so many life lessons that can be learned just from sitting in an ornate theater or opera house and losing yourself in the story and songs. Here are the things I have learned on and off Broadway. Seize the day. The boys of Newsies remind us that we can overcome anything if we put our minds to it. No matter what obstacles you face in life, there is always a silver lining. Yes, I’m an optimist, but I really do believe that we can make the world a better place through our thoughts, words, and actions and that nothing is too great to get in the way when you truly put your mind to something. Tomorrow is always a day away. Annie knew what she was talking about. If you weren’t able to seize the day, or today was just really bad, there is always a new day to wake up to and a new start to make. And for those days when you feel like you just can’t make it through the day, tomorrow will be here before you know it. P eople come into our lives for a reason. Elphaba and Glinda learned a lot more in the land of Oz than how to be good and how to be wicked. They learned that we all make a mark on each person we meet and that everyone has the ability to help us to grow if we let them. And that we can help them in return. I firmly believe that this is true. Every person I have ever met has left a mark on me, maybe large or maybe small, but a mark nonetheless. I hope that I have made a good mark on everyone that I have met. It’s something we should all strive for. There’s No Place Like Home. While her nemesis and guardian were learning the value of friendship, Dorothy was finding out that home is where the heart is, and that no matter how far you travel, there’s simply no place like home. Right now, all three of my girls are home for the summer. It’s what every mother looks forward to – having all of her loved ones under the same roof. What I love is that when given the choice of spending time at a friend’s house or bringing that friend here, my girls always seem to pick the latter. We go through a lot of food, and a parade of guests is constantly walking through our door, but I wouldn’t trade it for the world. I love that my girls love being at home and sharing their home with others. You must face your fears. Even when her confidence wavered, Maria found the courage to return to the Von Trapp house. And we learned along with her that we can’t run from our problems. We have to face them and figure out what God intends for us and our future. For every mountain we climb, we must have the courage to face whatever is at the top and the knowledge that we can discover our own destiny. Even Simba knew that you can’t avoid your future by running from your past. No matter how guilty you feel or how sad it makes you, you must have the courage and confidence to face life head on. Nobody puts Baby in the corner. Every little girl grows up, and whether she’s dancing her way into someone’s heart or fighting for equal rights, her parents will need to learn to let her go. This is something I live every day of my life these days. With one daughter about to graduate from college (11 months and counting) and another about to graduate from high school, I know that it’s time to let go. I have to hope that I have raised them to stand up for what they believe in and to always choose the side of good. And I have to remember that at those times when I still want to put them in the corner, I need to instead give them the space and the freedom to grow. Be yourself. One of the best shows I’ve seen in recent years is Disney’s Aladdin. The lesson is simple: don’t try to be someone you aren’t. Being yourself always puts you on top. I have lived my entire life being only myself. It wasn’t always easy. I’ve never been popular or been part of the in-crowd, but I’ve been able to lay my head down at night knowing that I was honest and sincere and that I am exactly what you see. I believe that I have instilled this in my girls. It can be the hard road to take through many of life’s travels, but it’s the right road. Forgiveness changes lives. The Bishop forgave Jean Valjean and gave him a new start. Fantine forgave Valjean for putting her out on the streets and gave him her child from whom he learned love. Eponine forgave Marius and Cosette for falling in love. Cosette forgave Eponine and her family for the way they treated her. Valjean forgave himself for past mistakes. Only Javert, who refused to forgive anyone, couldn’t live with the pain. But in the end, even he was forgiven by the one who gave all of them everlasting life – God in Heaven. Learn this most important lesson from the cast of Les Mis and from Joseph who forgave his brother for trying to kill him. Forgive those who trespass against you; forgive yourself; and know that God is loving and always forgives those who seek His kingdom. Trust God and find joy even in the midst of pain. Tevye reminds us that there is always joy to be found. As sad as it is when he disowns his daughter and when the family is forced to flee Russia, he reminds his family that they must trust in God and find joy in life. Through his unwavering faith, he faces each day with joy, even the saddest days. May we all be people of joy, as Pope Francis encourages. Face each new day with happiness and hope, and know that only joy can combat despair. How we treat others shapes their future and ours. The Phantom didn’t become the beast who haunts the theater based on his own faults but because of the way he was rejected and tortured by others. However, he became the man they most feared because he gave into his fears, his insecurities, and his pain. Never let others make you into something you are not, and never allow yourself to lose sight of tomorrow, the value of friendship, the comfort of home, the love of God, or the joy in living. Always have confidence in yourself, spread your wings, be the person God intended you to be, and forgive others. Never let yourself get to the point of no return. Amy Schisler is an award winning author of both children’s books and novels for readers of all ages. She lives with her husband and three daughters on the Eastern Shore of Maryland. Her latest book, Picture Me, is the recipient of an Illumination Award, placing it among the top three eBooks of 2015. Her next book, Whispering Vines, comes out on June 15, 2016 and is now available for pre-order. Almost ten years ago, Ken’s aunt and uncle made us a deal we couldn’t refuse. Fifteen years earlier, they bought an above-ground swimming pool from a store that was going out of business. They had every intention of putting it up in their yard for their two little girls. Well, one thing led to another, life went on, and the pool sat unopened in their garage. Their girls had grown up, gone to college, and moved out, and the pool was of no use to them any longer. The pool was ours if we were just willing to drive the two hours to pick it up and then figure out how to put it together. It had no pump or filter and no ladder, but it was spring, so those things were readily available. Ken went the very next day to pick up the pool, and I scoured Craig’s list for the missing pieces. By the time Ken got home, I had secured a filter and pump, and a few weeks later, Ken’s sister had located a ladder. Ken spent every evening after work for the next month digging out and leveling our yard, piecing together the outer wall of the pool, and trying to stretch the liner that, after 15 years in a garage, had shrunk from its original size. When the five of us finally pulled the liner into place and stood back and marveled at the giant (and I do mean giant) pool that we had constructed ourselves, it felt as it we were witnessing a miracle. And oh what a blessing that pool was. When I was growing up, there was just one thing I always wanted and begged for (except for my 4th grade horse phase). That one thing was a pool. Unfortunately, we never lived in a house that had the right yard for a pool. You can imagine my elation when we had our own pool in our backyard for the girls, Ken, and myself to enjoy. That first summer, we were in the water every single night. We had one party after another, inviting friends and family to come over and enjoy our pool. I can still close my eyes and hear the squeals of delight from the girls as we swam and splashed and played. It was Heaven right in our own backyard. Morgan, our swim team champion, was in the water literally from sunup until bedtime. It’s a miracle she had any skin or hair left by the end of the summer. After a couple if years, we were able to build a deck, and I spent many hours that summer reading books on the deck while the girls swam. Alas, as happens in life, the girls grew older, and we all grew busier. Morgan began spending so much time in the swim team pool, practicing and competing, that she no longer had the desire to swim at home. If she had friends over, they swam, but otherwise, she seemed to forget that the pool was even there. Katie and Rebecca had summer jobs that kept them away from the house for long hours, and they lost their love of being in the pool. Ken started traveling a lot more, and to keep our family together as much as possible, we tried to travel with him whenever we could. Even I, the girl who longed for a pool, found myself closed up in the house sitting in front of my computer. Entire summers went by without me even putting on a bathing suit. Last summer, I got very sick at the tail end of our family vacation. When we got home, my doctor told me that the best thing for me to do was to spend 10-30 minutes a day in the pool. That last week of summer was the most relaxing and rejuvenating week of my entire year. I had forgotten how much I love to swim! I love the feel of the water, the rhythmic pulse of a string of laps back and forth across the pool, the sun’s hot rays slicing through the cool water and creating a soothing bathtub sensation on my body. I spent this past winter and the long, cold, wet spring looking out my kitchen window with a smile This was the summer I was going to swim every day. A few days ago, Ken pulled the cover off of the pool. He climbed into the green, murky, stale water, and began cleaning it out. He noticed a few cracks in the liner, some that looked rather bad, and realized it needed to be replaced. He found this no easy task as the pool was now around twenty-five years old. Settling on patching it up, he figured he could get another summer out of the liner while searching for a replacement. He then retrieved the filter and pump from the shed, cleaned them, hooked them up, and then took them off and carried them into the garage. The pool was filling, and as Ken worked on something with the pump, I anxiously watched and waited. Would it be ready by Memorial Day? It seemed to be taking so much longer this year for Ken to get it all put together. How much longer would I have to wait? No! Wait! What was this leading to? Were my ears deceiving me? I was going to use it! I needed to use it! We had to have a pool! “We could build a huge gazebo in that area,” Rebecca excitedly said. “Or a Michael Phelps practice lane,” Morgan enthusiastically chimed in. “Or just use the money for our vacation,” Katie suggested. I was silent. Did they not see? Did they not care? This was my pool! Our pool! Where we spent so many good times years ago. Years ago. The thought echoed in my mind. Where did the years go? Why hadn’t I seized every opportunity to spend time in the pool with my family when we had the chance? Why had we let other things get in the way? Why had I spent my entire summer indoors instead of enjoying the one thing I had always wanted so much? I cried last night while Ken held me and apologized. I know. It’s a pool. I get it. There are far worse things in the world to cry about than the dismantling of a pool. But it was more than just a pool. It was my childhood wish, my family’s nirvana for a few short years, a project that we put so much work, joy, and love into. The next few days won’t be very much fun for me as I watch the pool come down little by little. Our backyard will never be the same. You see, even if we didn’t use the pool as much in the past few years as we could have, the possibility was always there. But I guess my memories will always be there, too. In my mind, the pool will always be used by three excited little girls, their laughing father, and their overjoyed mother. It’s not possible to turn back the hands of time and redo all of those lost hours, but we can make sure we don’t repeat that mistake. We may not have a pool this summer, but we have each other. And really, that’s all we need.